Thought (formerly known as Braintree) is an independent fashion label run by a small team of 20 people. Proud supporters of slow fashion, Thought create ethical clothing made from sustainable fabrics and free from pesticides, using processes that are kinder on the environment. Thought encourages their customers to look after what they own with the mantra: “wear me, love me, mend me, pass me on.” Read more about the brand’s thoughtful way of doing business, sustainable fabrics, supply chain, and design process. Thought’s clothing style is colourful and reminiscent of Anthropologie, except ethical and sustainable from its foundations up. So if you like clothing with a free-spirited, bohemian twist you’ll enjoy what Thought has to offer. For people like me who love minimalist pieces in classic styles and neutral tones, Thought still has a good selection to choose from especially basics and layering pieces. The Alberti Dress and Bjork Tencel Jumpsuit are two items that caught my eye, and their neutral range of cool toned tops and knitwear will fit into most wardrobes. You may need to size down when ordering from Thought. Their sizing is generous and the simplified labels make it easy to misjudge the size you need. It was mentioned to me the sizing is “roomy" and I should have listened yet I sized up because I wanted to be sure the pieces I was ordering could be worn for layering. That was a mistake. When the clothing arrived I found them to run larger than expected so I returned my order and reordered my usual size. Thought’s customer service is amazing and the process of returning items for an exchange was easy and quick, and the replacements arrived promptly. The small in both tops had extra room; neither was fitted but both look good on and the roomier fit doesn’t make them look awkward at all. The clothing is designed with a looser style in mind so if you like clothing that lets you breathe you’ll be happy ordering from Thought. Wherever possible I opt for natural plant derived fabrics. Natural fibres provide high quality clothing while limiting their impact on the environment; they tend to be lightweight and breathable, providing warmth and protection while feeling soft against the skin. Thought’s clothing is made from a blend of natural fibres and often pieces are 100% organic cotton. All of the pieces I received feel comfortable and lightweight on the skin. 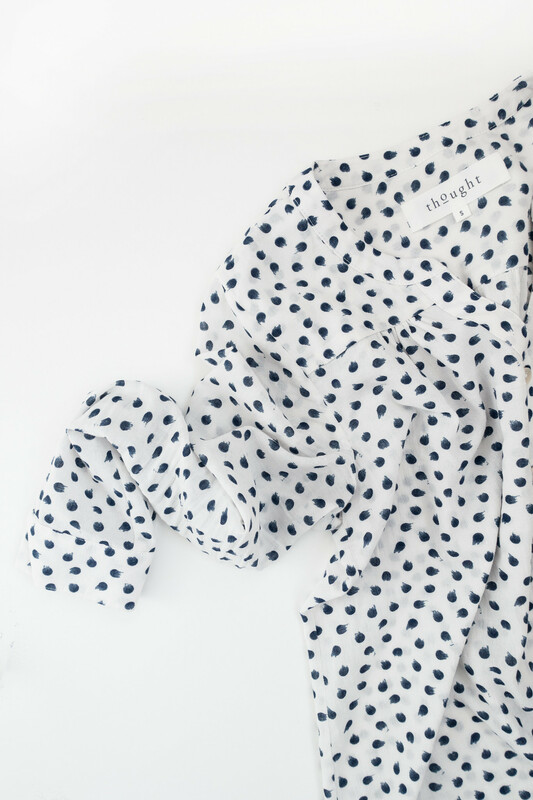 The handfeel is beautiful with lovely textures and soft fabrics. Even though the Marcel blouse is sheer the fabric doesn’t cling to the skin and drapes wonderfully, and the organic tops have a lovely sturdiness to them so you know they won’t wear out quickly. I’m very pleased with how all the pieces look and feel when I’m wearing them. 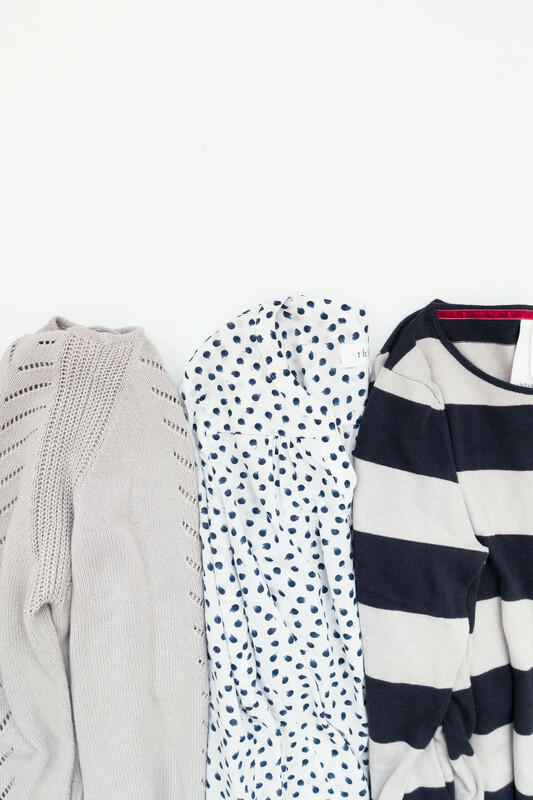 The extra room in each size does allow for easy layering over or under clothing. Thought's range of sustainable bamboo socks are especially remarkable, they are the softest, most comfortable socks I have ever owned - I’ll definitely be purchasing more of these. *Note: I don’t buy (new) clothing made using animal fabrics and, in my attempt to make my wardrobe fall in line with my ethical lifestyle choices, I’ve been refusing any gifted items containing these fabrics. Sometimes I mess up. I didn’t check the fabrics thoroughly and ended up with two items that contain wool. Irrelevant if you buy these fabrics but I thought I would clear up any confusion over my buying habits. Overall I’m incredibly happy to have a bit more diversity in my wardrobe thanks to Thought. The pieces have slotted in nicely, providing a little colour and interest into my almost entirely black wardrobe. In the process they’ve also made a few of my existing pieces more versatile, which I couldn’t be happier about. 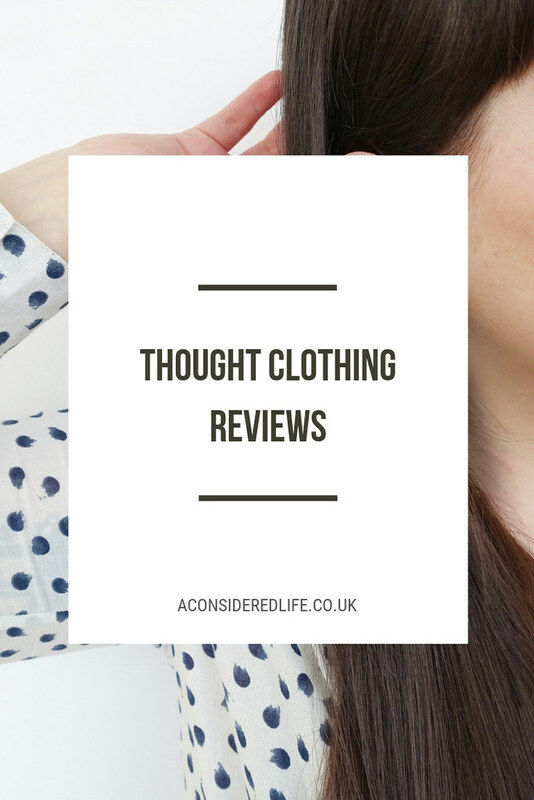 I can highly recommend shopping with Thought if you’re looking for new clothing. 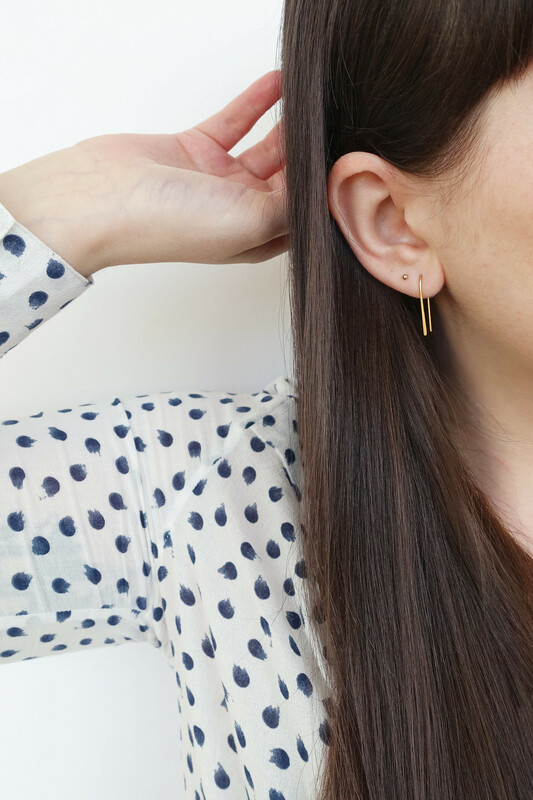 You’re investing in quality and ethical fashion without paying over the odds for it.